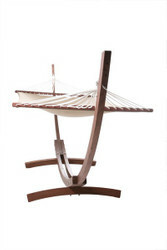 Are you looking for a nice hammock or an unusual suspension swing for your garden, apartment or balcony? Then you are in the right place at Casa Padrino, the baroque wholesaler on the internet! Idealism and passion are very important to us. For special requests please contact us. We're here to help. Guaranteed! Our entire baroque, antique, rustic or luxury furniture collection is also ideal for hotels, boutiques, shops, clubs, cafes and restaurant outlets. Casa Padrino, your specialist for baroque furniture, antique furniture, luxury furniture, country house furniture and many other furniture styles.